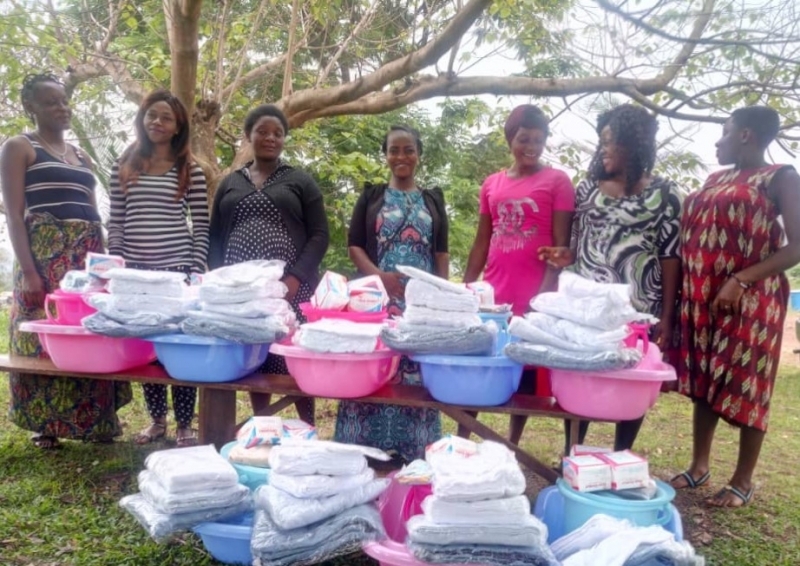 The Center for Advocacy in Gender Equality and Action for Development (CAGEAD), a nongovernmental organisation (NGO) in Cameroon , has assisted pregnant Internally Displaced Women(IDPs), with delivery kits. The ongoing sociopolitical crisis in the North West region has seen many pregnant women, running to bushes and other towns for safety. Some of them have lost their partners and families, hence need immediate help. CAGEAD, who has been reaching out to internally displaced persons, thought it wise to help these pregnant women. They were in Tubah subdivision, in the North West this week, where they handed other useful items after child birth, as well as these delivery kits. More pregnant women affected by the ongoing Anglophone crisis, are in need of such assistance. A case of an IDP is reported in Bonaberi, where a young girl of 18, expecting twins, hasn’t done antenatal since she got pregnant because she lost touch with her partner, and her mother can’t afford it. The family made a call over a Douala-based TV station, for persons of good will to assist them. As the crisis ensues, cases of maternal mortality have been reported in remote areas, because they didn’t have access to health care, or possibilities to move to another area. Clotilda Andiensa is the founder and coordinator of CAGEAD Cameroon, who says having being exposed to leadership skills, her role is to inspire young women to take charge of their lives and positively co tribute to Cameroon’s development agenda. CAGEAD is a registered non governmental, non-political and non-religious organization based in the Northwest region of Cameroon. They are dedicated to upholding the rights of women and youth through education, awareness building and advocacy. It seeks to be a leading organization for promoting human equality and development by building and promoting a culture of accountability in behaviour in communities. Apart from supporting IDPs, the NGO, has carried out sexual reproductive health activities, where they trained about 150 teenagers from 111 subdivisions, on how to curb unintended pregnancies and the spread of HIV/AIDS and other related diseases amongst teenagers in schools.